If you have a website or application which require Facebook log in, you will surely get alert in your Facebook developer mail box. You will also receive email from Facebook about it. Items listed in the alert will be varied depends on your website features. If your website is viral quiz website likes nametests.com, you will have to submit permission for user_genders, user_photos, user_friends. And another update came out on 2nd July 2018 is level of permission request is varied depends on the items you use. 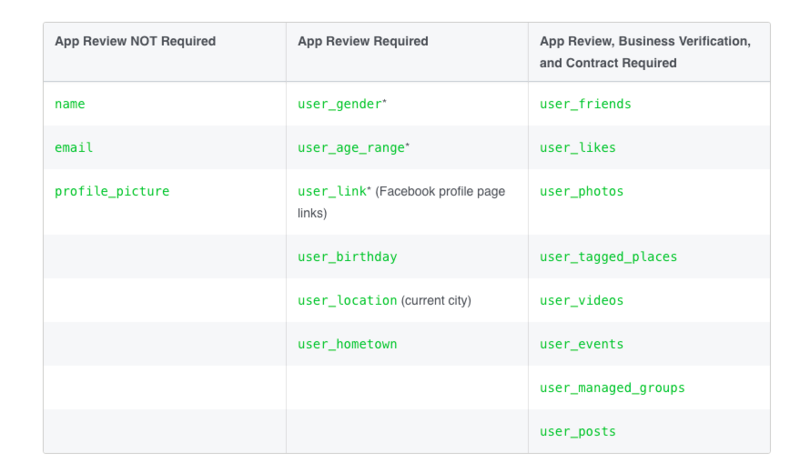 Here is the table from Facebook announcement. For user_genders and user_age_range, you just need to submit application review. But if you are going to use user_friends and user_photos, you also need to do business verification. To submit application permission request, it is not very difficult. 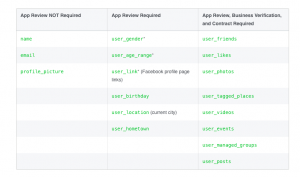 Facebook also mentioned what informations and what things you need to be included in your submission request. It is quite easy. But there is one difficult thing. It is screen cast. You also have to submit screen cast of how your Facebook log in works. If you are using old application and features are already approved in the past, it will not be a problem for you. You can easily make a screencast which actually showing how log in is working. The real problem is for new application. 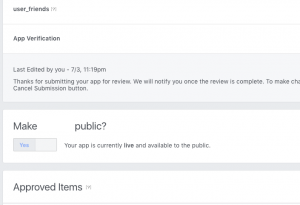 If your Facebook app is new, you will not have access to the features which need permission request. But you have to do screencast which shows how it is working. I also struggled to do screen cast for the items which haven’t not yet approved from Facebook. So that I cannot create screen cast which show how it is working. I talked in the Facebook Developer community and finally found out this solutions. If your website or app has a lot of real time users, you need to wait for the time when there is only a few users. Because you have to switch your Facebook application into development mode. After switching your app into development mode, you are the only one who can use your website. Other users cannot access your website at that time. Then you can test your website and your requested items will work in development mode. By doing so you can take screencast of how your log in will work if your requested items (eg. user_genders, user_photos) are approved. I think this post will help you to overcome screencast issue during preparing to submit application request.